If you haven’t heard about the One Room Challenge its hosted by Calling It Home. The challenge goes on for 6 weeks where I’ll update you each Thursday with the progress I’ve made. To kick things off here are the before pictures of the room I’m working with. It was previously my 2 year old’s bedroom. I have some of the furniture in the room in the place I want it to be. I have so much planned for this space and I really hope I can get it done, not to mention I’m currently pregnant! Here’s my inspiration board. The colors I plan to use are grey and white with accents in aqua and lavender. Here’s a inspiration picture that I just love the overall look & colors. Finally make sure to check out the other featured participants HERE, along with the linking participants HERE. Holy gorgeous palette, batman! I love your inspiration and I can’t wait to see how it comes together. I love your plan and all of the pieces you’ve picked! I can’t wait to see how it all comes together! Good luck! Such a sweet little space this is going to be. I just love all of the soothing colors and the lovely texture and patterns you have planned. It’s going to be beautiful! I look forward to following along with this makeover, it’s going to be amazing! I love the blues, greens, greys you choose, its going to look so pretty! You did such a great job in the mood board. Mood boards are so helpful I think. Will follow the progress. Thanks Maria! I love mood boards and agree they’re so helpful when planning a room. Oh this is going to be beyond gorgeous! I can’t wait to see the final outcome – LOVE that mood board! 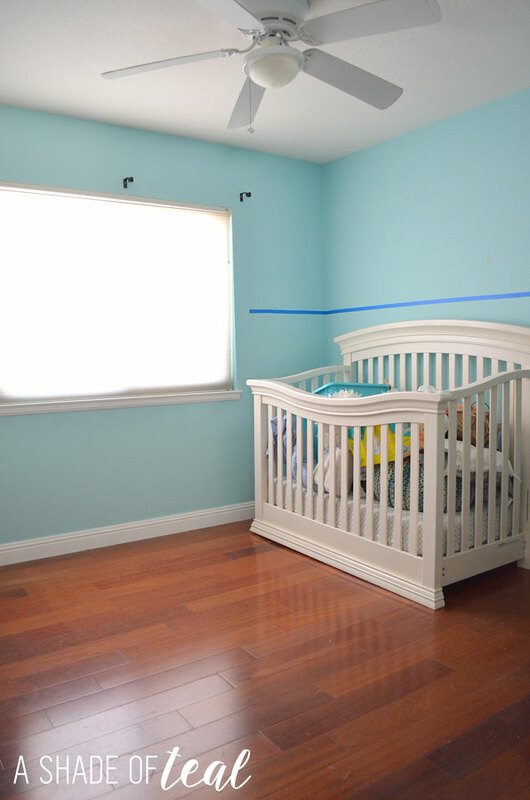 Your nursery is going to be gorgeous! I can’t wait to follow along and see your progress! love your plan! can’t wait to see it come together!! and you’re amazing to do it all while pregnant! Thanks Yuni! Fingers crossed I have the energy to get it all done! Wow, Katy! 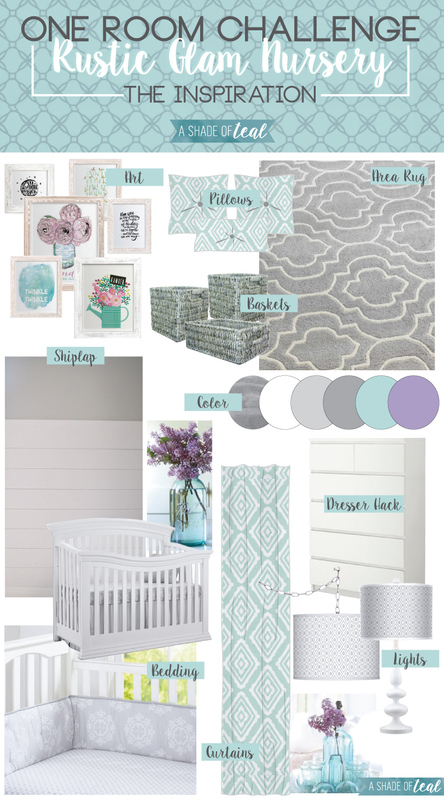 I love, love, love the color scheme you’re working with for the nursery. It’s so soothing and beautiful. Can’t wait to see how the space turns out. Thanks Amy! I need all the luck I can get! Thanks Nicole! I have the rug on order, and I can’t wait to see it in person! Your color palette is amazing!! I can’t wait to see the finished product! Katy, this is going to be so pretty when all is said and done! I’m excited to follow along with the transformation!! How sweet, looks like it’ll be lovely!! Your inspiration board is gorgeous and that color palette is SO lovely! 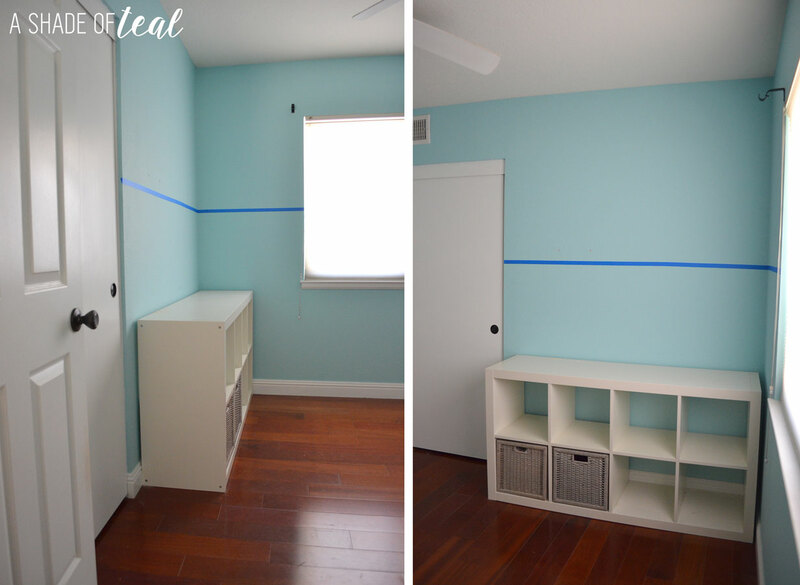 Can’t wait to see how you transform your space! Love your style! Everything looks so pretty and your color palette is beautifully put together! Can’t wait to see how you transform the space. First off, congratulations! 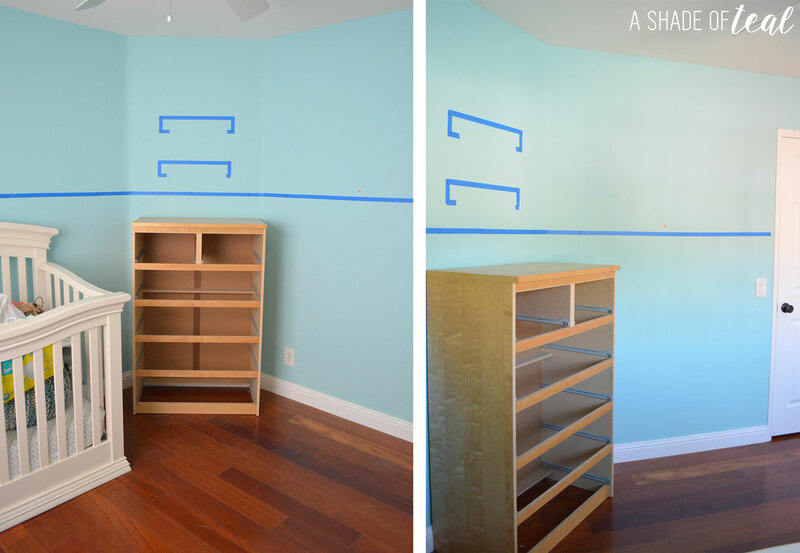 I love the colors you have chosen for this little girl’s nursery. They are so peaceful. Good luck! I love your color palette? 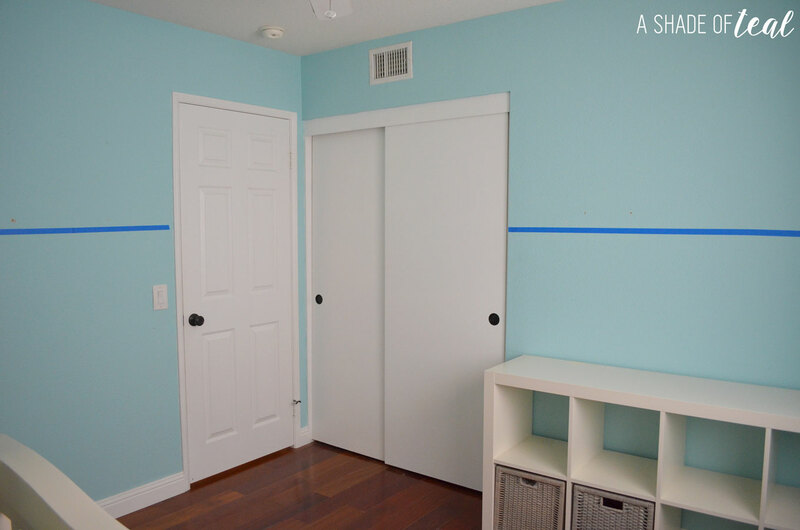 What color of gray did you use to paint the nursery walls?! Thanks Karyn! Its Notre Dame by Valspar (5006-1B). I just found your blog. The final product here is gorgeous but I’m curious if you know the color of paint in the before pictures. My daughter has that same pottery barn bedding and her walls are a soft purple but I want to paint her ceiling in the teal color. Sorry, but I don’t know it anymore.